Decided to try to complete my October Audax early while the weather was still nice. The speed was good, though I didn’t feel I stopped that long for lunch, but it eat up 20 minutes! Depressingly, looking back at my February ride over a similar route, I’ve gained 0.1mph after 8-9 months of commuting 100 miles a week! Oh well, at least it saves petrol. I pushed quite hard and my legs are now shattered, so it’s not for lack of effort. 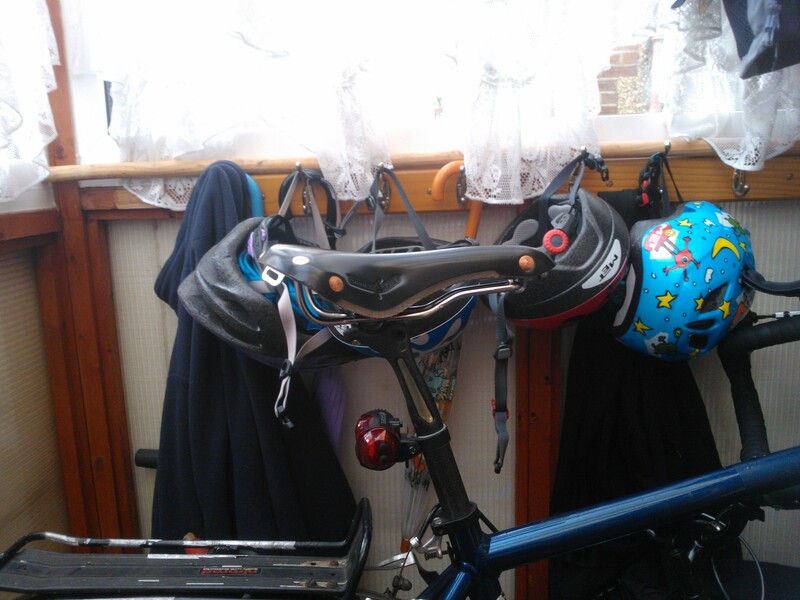 I think it might have been marginally more comfortable than the regular saddle in terms of friction, but was very hard. 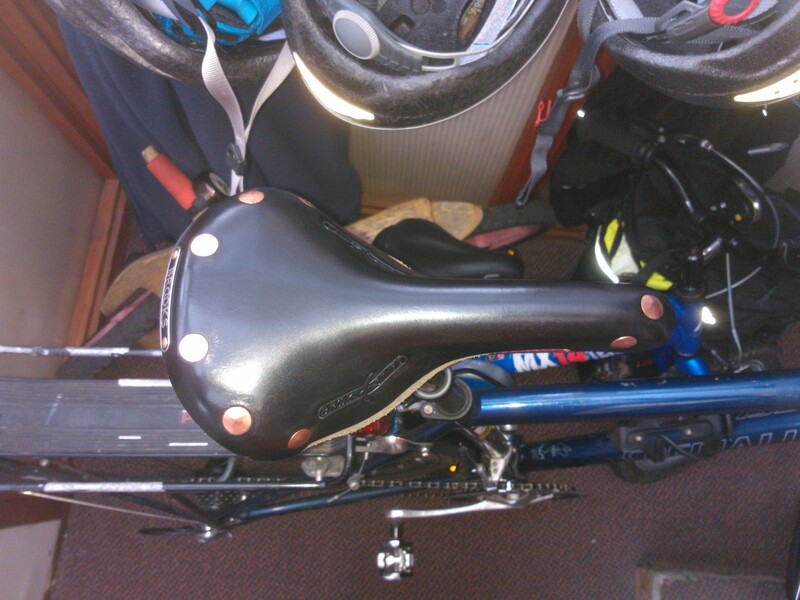 Not a disaster, but it’ll need more tweaking and I’ll experiment with the old saddle as well. 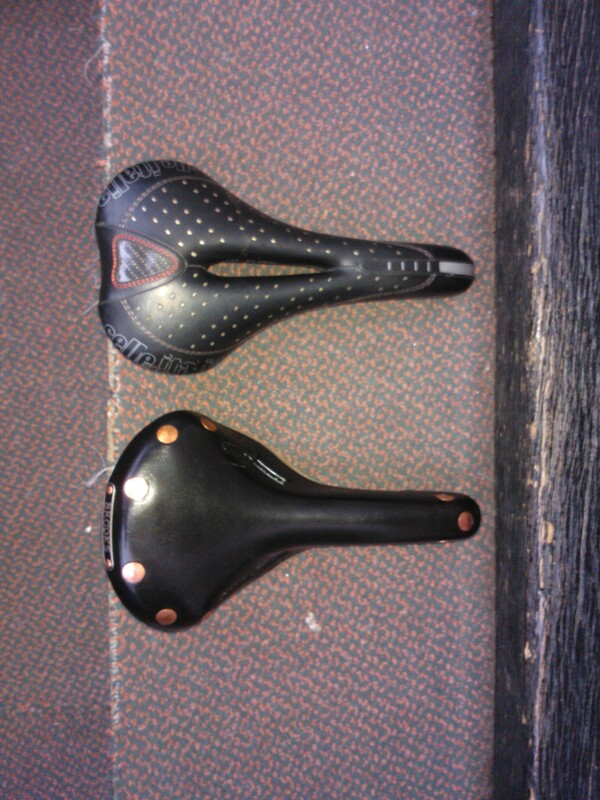 The old saddle was a Selle Italia Prolink.